The community of Holy Cross Retreat, Ardoyne, celebrated the entry into the novitiate and clothing in the religious habit of three new novices on Saturday 12 September, Feast of the Holy Name of Mary. The ceremony, which was presided over by Father Eugene McCarthy CP, was held in the choir (the community chapel). The novices are Aidan O’Kane and Daniel Mooney (both from County Antrim) and Antony Connelly (from Glasgow). 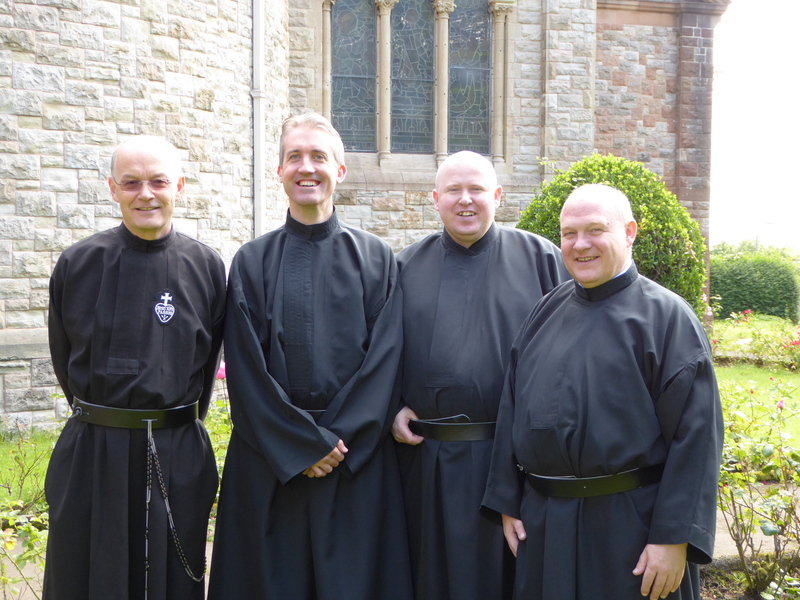 They are pictured above with the Novice Master, Father Thomas Scanlon CP.